Luzerne County Courthouse Earns 2018 Trumbauer Award | John Canning & Co.
Philadelphia, PA: In contrast with its controversial 1892 – 1906 design/build period, the historic restoration of the Luzerne County Courthouse south lobby, rotunda dome and atrium, and third floor corridors took only 6 months, did not disrupt day-to-day business, and was completed on time and on budget. The 2018 Trumbauer Award, given by the Philadelphia chapter of the Institute of Classical Architecture & Art, was accepted for the Canning Co. by project manager David Gough. Canning Co.’s project team attended the gala event held at the Union League of Philadelphia, another historic national landmark along with key members from the county and project architect team, A+E Group. Over the years water damage, mold, mildew and unsuccessful repair attempts had assaulted the historic fabric making its preservation urgent. People with business in the building were being protected from falling pieces of delaminating plaster by netting draped across the rotunda. 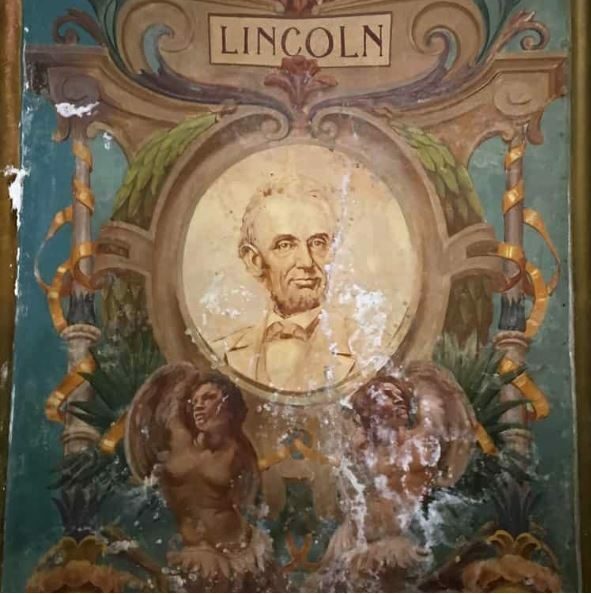 John Canning Co. conservators carefully assessed, documented, and conserved over 125 murals and artwork throughout the rotunda and third-floor corridors. 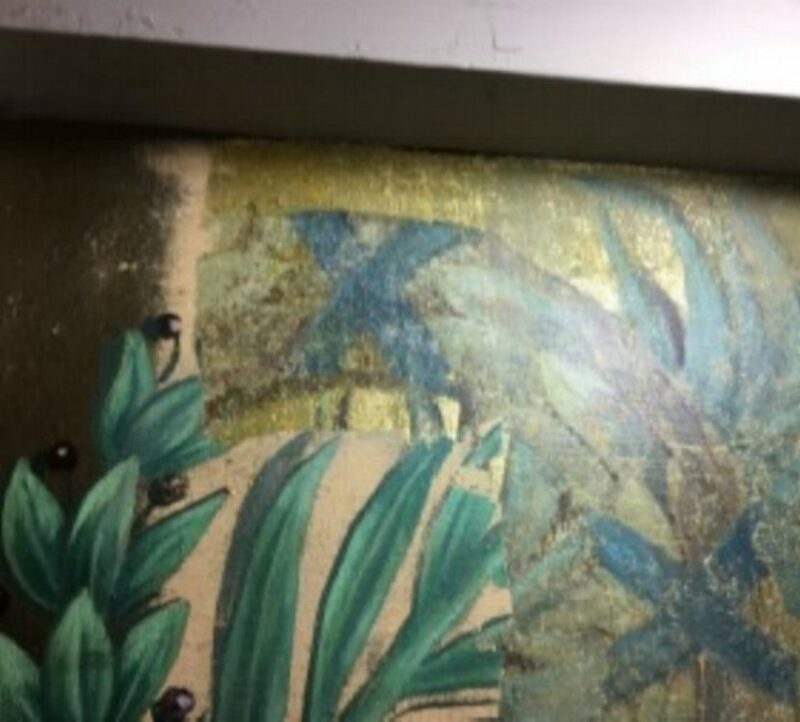 Research of historic documents and photos along with paint exposures helped the team determine where original artists’ decorative schemes and mural compositions had been altered over the years. The artists’ original work was faithfully reinstated. 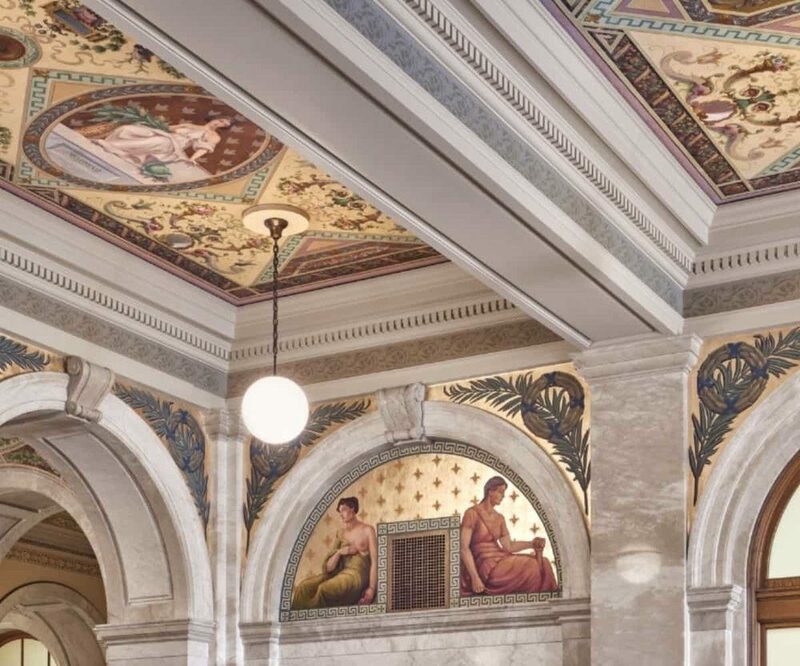 Microscopic evaluation of paint layers determined the original palette for each mural and the overall paint scheme which emulated from tones in the Botticcino marble used on the walls and floors in pattern with other marble varieties. The entire rotunda is finished with marble. The four piers supporting the dome and the walls of the first story are of Botticcino marble. The cornices, columns, balustrades and corridor wainscoting are of white Italian marble, and the wainscoting base of Alps green. The torcheres, office screens, and door hardware are of cast bronze. 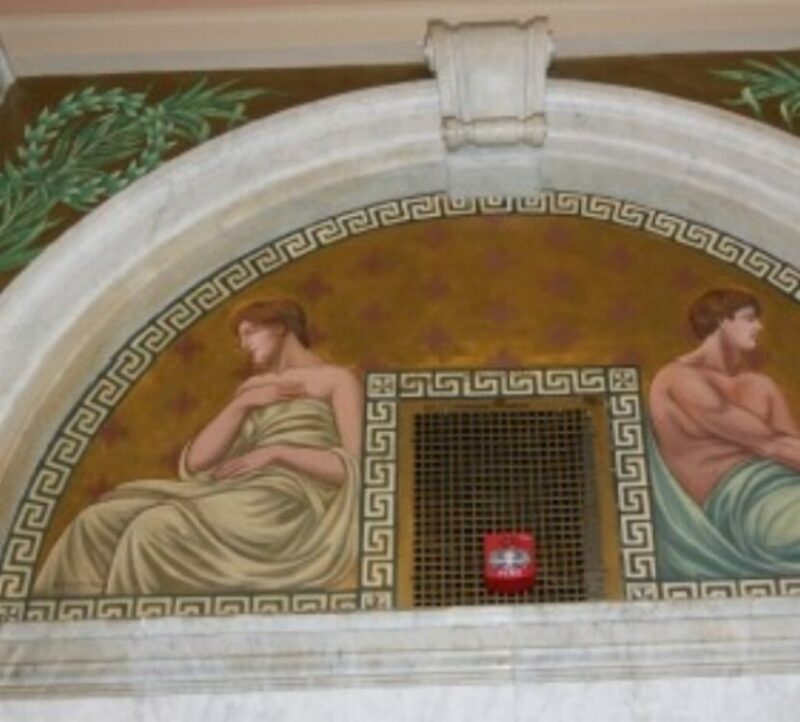 The floors throughout, with the exception of some of the smaller offices, are of Tennessee marble, those of the corridors, gallery and rotunda being laid in patterns. Every bit of the Canning Co. team’s knowledge and skill were essential to the success of this project – from historic research to on-site observations to scientific testing. Every surface from dome to first-floor threshold was examined, documented, conserved and restored. 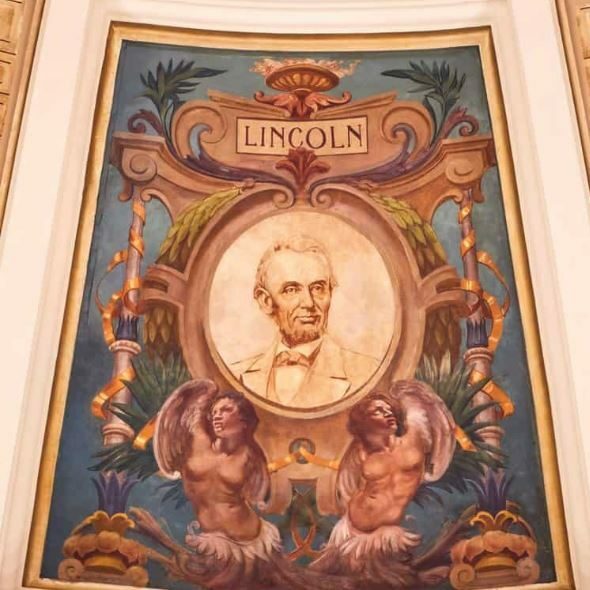 Decorative finishes of gold leaf and glazes, stencil patterns, simulated mosaic backgrounds, allegorical and historical figures and symbols meaningful to Wilkes-Barre area history are once again living in splendid harmony in the iconic Luzerne County Courthouse.